If you like wearing those casual style walking suits when you want to dress to impress but don't want to wear a full suit, you'll love the fashionable style walking suits from Robert Lewis. Robert Lewis has a collection of casual inspired walking suits that will make you look great. 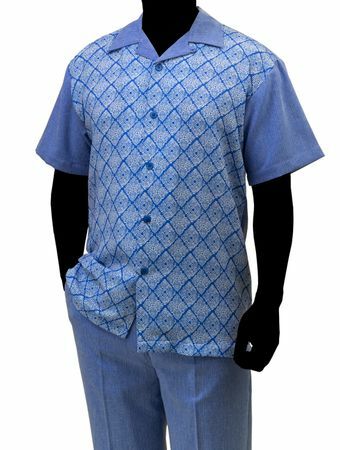 This heather blue color walking suit features an easy to wear style that has flap pocket pants to match and all made of nice poly/rayon fabric.